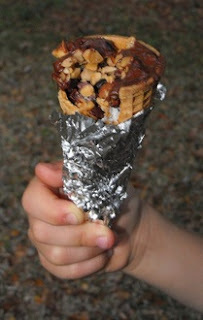 Life, Happily Ever After: Camp food! Oh no! Blogger fail! I scheduled this post to go live Wednesday morning, and now looking, it didn't. Anywho, enjoy!! One of my favorite parts of camping is the food! I love cooking over an open fire and I love hot dogs and marshmallows (not together). 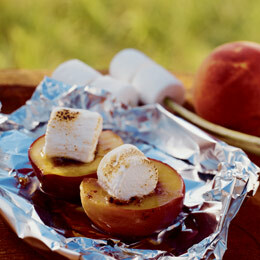 Here are some links to other delish camping recipes! Don't these just look amazing! 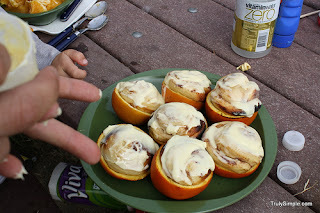 We are planning on the traditional Hot Dogs and S'mores, but we might just have to give that cinnamon roll trick a try! My family's big on hobo dinners (meat, potatoes and veggies in a foil pouch cooked on the coals). I'm not super into them (I dislike cooked vegetables), but they've always been a Hayes family camping mainstay.